This post is a little late. I was supposed to receive my Topbox earlier this month but due to a Canada Post issue, I didn't actually receive it until the other day. The box looks a little different this month. It was a salute to Earth day with the eco-friendly packaging made of 100% recycled materials. I have received a Bella Pella product in a previous Topbox (a bar of soap, I believe) and I enjoyed it. This lotion feels great on the skin, but it has a really strong scent. It's somewhere between fruity and florally. The scent is almost too strong for me (especially for a body lotion). The full-size retails for $15.95. Benefit always has the cutest names for their products. 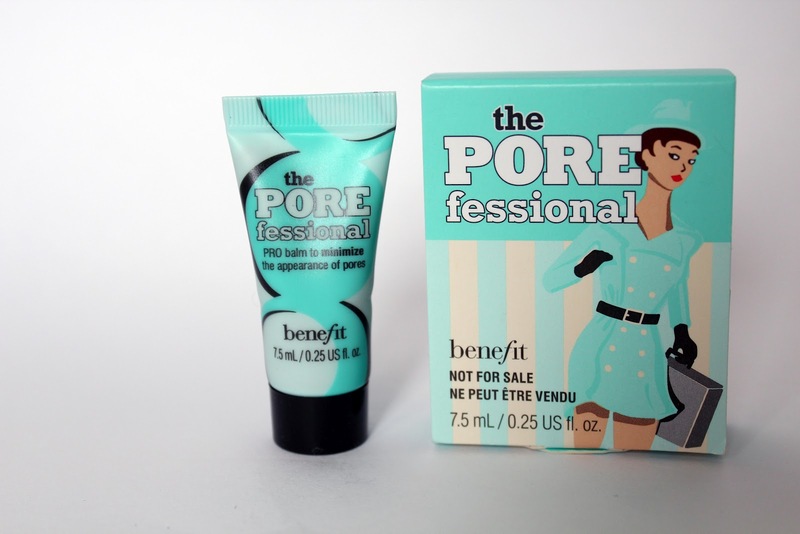 POREfessional is a balm that minimizes the appearances of pores & fine lines. I've never had a problem with large/visible pores but this may be a good primer. The full-size retails for $34. This is a 3-in-1 cream to help hydrate your skin. It's tinted and it blends nicely into the skin. 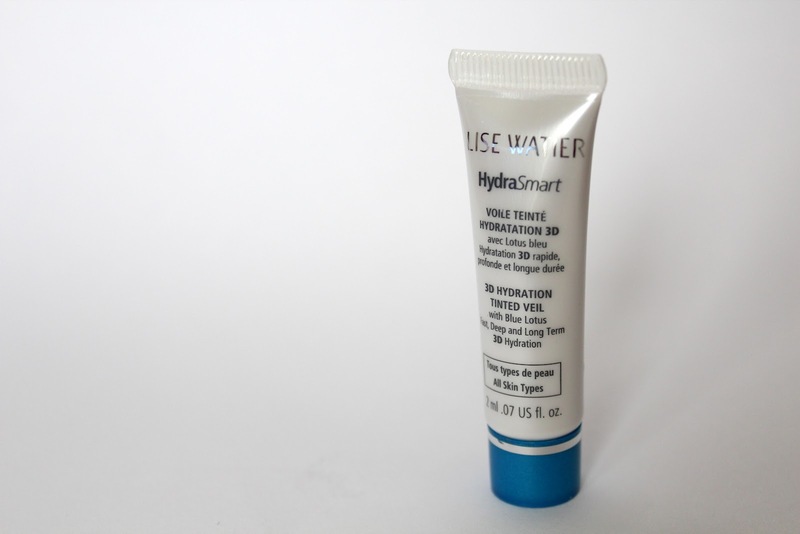 It has the same coverage as a typical tinted moisturizer but it does subtly brighten the skin. The full-size retails for $35. I'm not sure if I would drop my current tinted moisturizer for this, but it worth a try. This is my first bottle of Misa nail polish. I often see this line at Trade Secrets and they have a large colour range. It's an iridescent pale pink. It applies quite sheer but it's a pretty colour. This is a full-size bottle and it retails for $8.99. Topbox seems to be the most consistent service and offers different product! What's your favorite box? 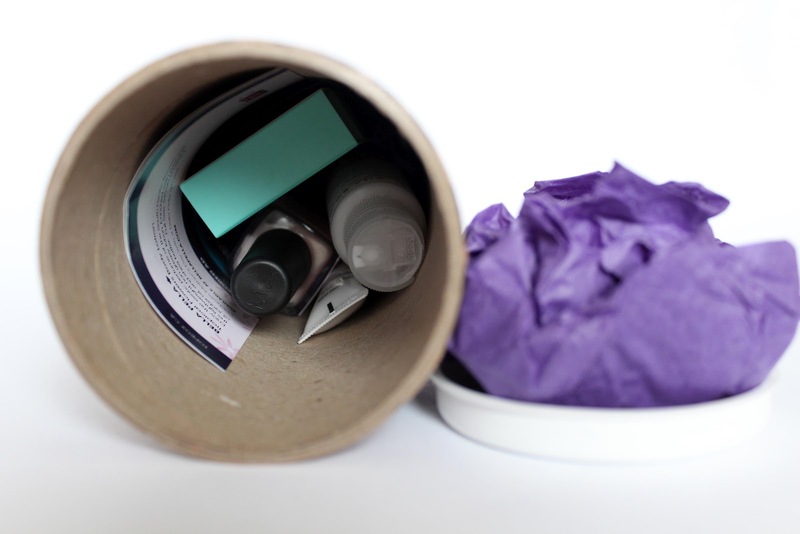 I love topbox and this box is great- lots of variety! I like the nail polish shade you got, its very pretty!